This updo/chignon was kind of a random discovery for short hair. 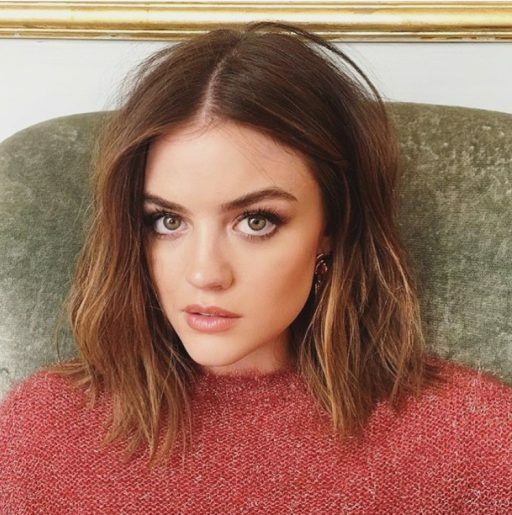 My gorgeous client Katie, who has a long bob, was sitting in my chair and this happened so we thought we’d snap some photos and share since we get a lot of requests for short hair styles! TOOLS: bobby pins, accessory, hairspray. Prep: You’ll want the hair to have some texture before you pin it up. If you have curly hair, you’re all set. If not, use a 1″ spring iron and curl everything away from your face so it will twist easier. Then it’s just 2 steps! Take the entire left side and start twisting near your ear. Best to twist it kind of tight and then loosen it up after you pin everything. Stop just past the middle and add a large bobby pin for extra support. You can see where we placed it in Katie’s hair. 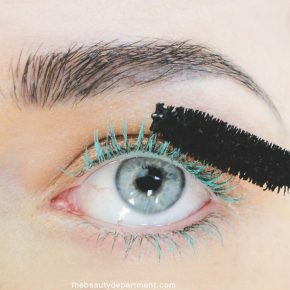 When inserting the bobby pin, go back against the hair, almost like you’re putting it inside the twist you just created! Now gather all of the hair on the right, along with the hair left out from the other side and twist UP. 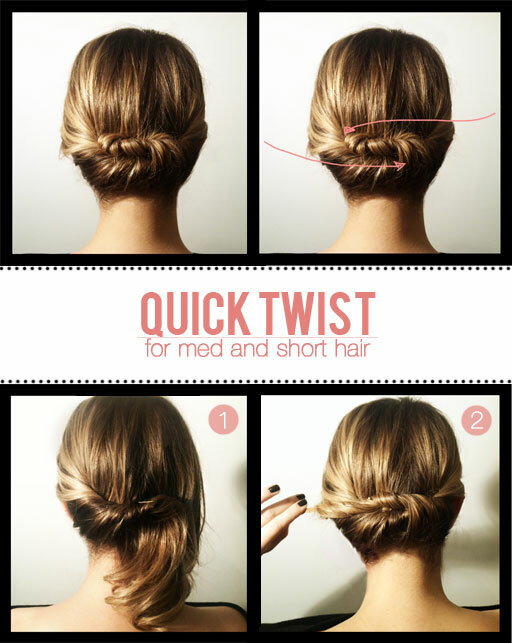 Position it over the first twist and pin using a large bobby pin. Tuck the hair that’s left out into the twist and add a couple more bobby pins for security. 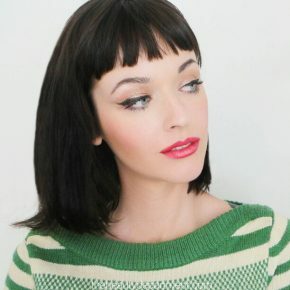 If the hair is too short, just add an accessory like we did below! Now using a hand mirror, check it out from the sides and back to make sure it’s well proportioned and balanced. 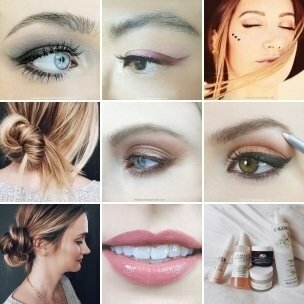 Loosen it up with your fingers or pull some pieces out around your face if you want a more romantic vibe, then add a veil of hairspray. 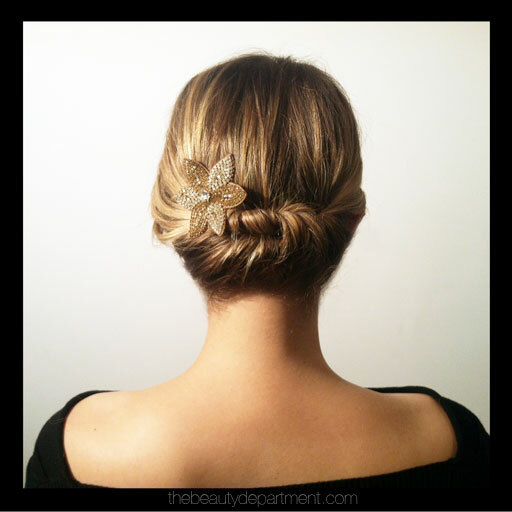 Add a sparkly accessory and this will make a great New Years Eve updo for you shorties!